I would be lying if I said that I wasn’t excited about this release. Truth be told, I have been waiting for this day since I heard the rumor that Square Enix might be releasing an HD remake of these titles. But never in my wildest dreams would I have imagined that they would’ve taken their time and done it all so right. This HD remake of these two titles far exceeded my expectations. 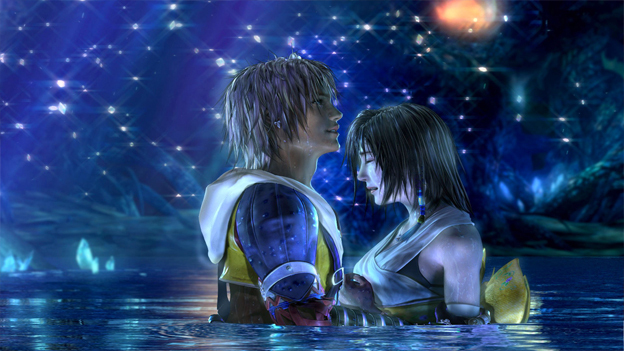 Just watching the opening scenes of Final Fantasy X, I realized what kind of detail they put into this title. The skies looked more detailed and clear, the clouds more defined and even the water had a brand new shine on it that my PS2 version just didn’t seem to have. Then I noticed something else: the music was different. It sounded fuller and more…well, more. So as I listened closer I realized that the music had been completely re-recorded with real instruments and not just digital ones. I was floored. So I powered my way through the early battle sequences and in-game tutorials that were all too familiar to a fan who had completed this game so many times I lost count. All the while, marveling at the definition of not only what I was seeing but what I was hearing as well. This game was truly a fanboy’s dream come true. As I worked my way through familiar levels and battles, all of the nuances of turn-based combat started coming back to me. The fact that nearly every RPG I have played since FFX used a real-time combat system had almost made me forget how much fun turn-based battles could be. The pacing of the battles felt as smooth as they ever did and the combat mechanics were every bit as slick as they were the first time I ever played FFX. So I decided to pop into a game using the expert sphere grid from the international version of the game. Suddenly, the game took on a whole new dynamic. Expert was the exact word I would have used to describe the new sphere grid system. It was a far more involved system that makes you really think about your choices before applying spheres. So for those of you who fancy yourselves masters of Spira, give your game a little kick in the teeth with the expert sphere grid. Oh, and if you think for a minute that you can just waltz up to a dark aeon or Penance and just pick a fight, just try it and see what happens. You better have a nearly fully maxed out team behind you or you will get hosed so fast you may not know what hit you. 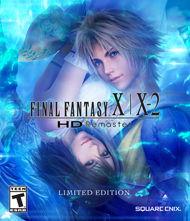 So after A/B-ing FFX against the PS2 version, I decided to do the same with FFX2 (although I had to go out and find a copy to use because I had gotten rid of mine a long time ago). 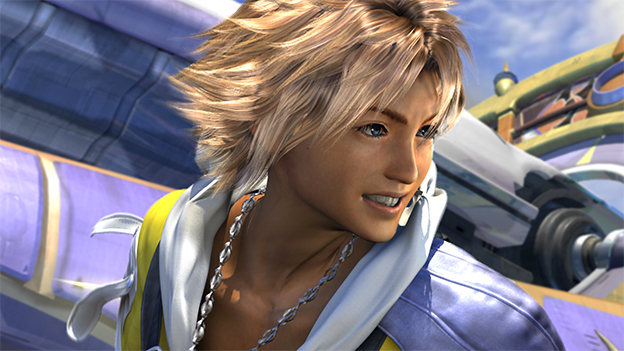 I remember FFX2 being a mixture of Final Fantasy X, Charlie’s Angels and Dolly Dress-Up all rolled into one. So I resumed an old save file on my PS2 that I had on an old memory card (hard to believe we ever used those) and dug in. As I got more familiar with the dress-spheres and their grids, and the combat style of using timing as well as costume changes to defeat your foes, I started to wonder what the HD remaster would look and feel like. I fired up the PS3 and watched the opening scene and was again blown away by how much more defined everything was. That’s when I remembered that the last time I played this game, I played it on the PS2 into a DLP projection screen TV. So now, seeing it on the PS3 into an OLED TV was nearly like playing the game for the first time.